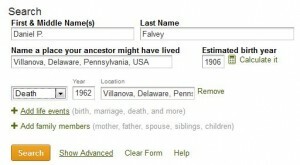 Ancestry.com® is a database to which Falvey subscribes and, although it was originally ordered for Craig Bailey, PhD, Department of History, whose students used Ancestry to research the population of Ardmore, Pa., the database is available to all Villanova students, faculty and staff. Ancestry.com® is accessed through the library’s Databases A-Z list (see Ancestry Library Edition (ProQuest)). 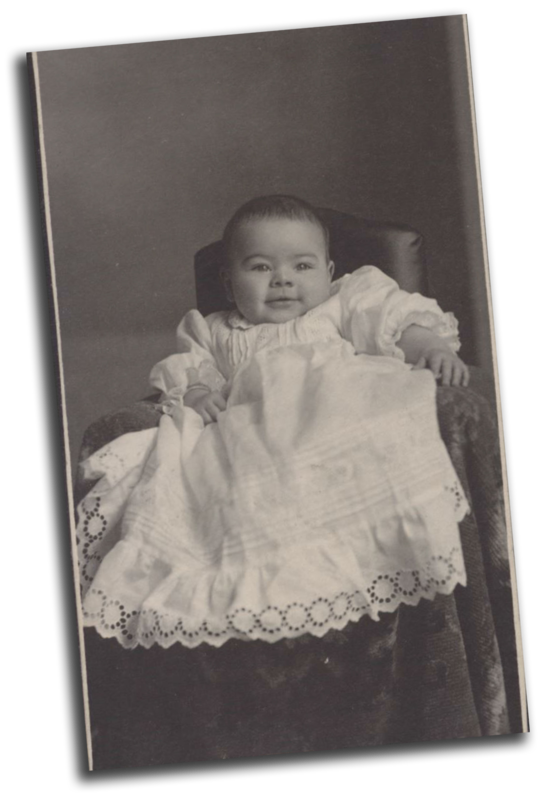 It contains over 11 billion records, including census and voter lists; birth, baptism and christening records; marriage and divorce records; immigration and travel records; naturalization records; death, burial, cemetery records and obituaries; city and county directories; the U.S. social security death index, 1935-present; family trees and more. Ancestry houses records from Australia, Canada, Germany and the United Kingdom as well as the United States. In 1983 John Sittner founded the Generations Network in Provo, Utah, which became Ancestry.com® in July 2009. In 2008 the National Archives signed an agreement with Ancestry’s parent company to digitize selected records: the complete United States Federal Census Collection, from the first census in 1790 through 1930 (the 1940 census only became available this year); passenger lists from 1820 through 1960; military service records and much more. A colleague suggested searching for the Rev. Daniel Falvey, OSA, for whom the Library is named. When I opened Ancestry.com, I discovered that I needed his birth year. A Google search revealed that he was born in 1906 and died in 1962. I filled out the search information, clicked “search” and waited for results. The first item, a “Diggs Family Tree,” did not seem helpful; not only was the birth date different, but this Daniel Falvey had a spouse. “Find-A-Grave” appeared and provided a link to photographs of Father Falvey and his grave in the Augustinian cemetery on campus. The 1940 US census, the most recent one available in Ancestry, showed a Daniel Falvey living at Villanova College (Villanova was not yet a university), Lancaster Avenue, Radnor Township, one of a number of priests at that address. 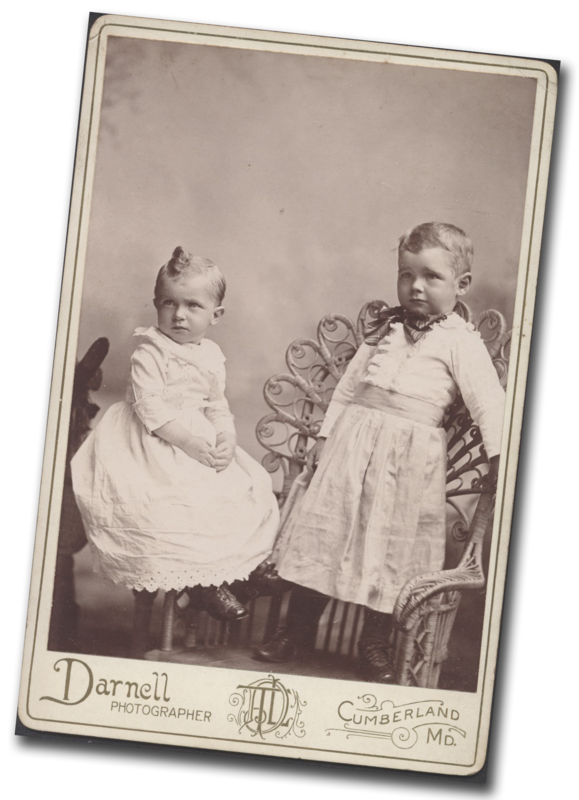 This Daniel Falvey had completed four years of college; he was born in Massachusetts, but his birth date was “about 1901,” while the date on his tombstone is 1906. This is probably the Daniel Falvey for whom I am searching. A passenger list of the SS S.M. Spalding listed a Daniel P. Falvey as a crew member. Our Father Falvey? Probably not. Digging a little deeper, I found a Daniel P. Falvey in the 1930 census: he was 23, living in Holyoke, Mass., with his father, Thomas D. Falvey, age 58, widowed and born in Ireland. Thomas D. Falvey owned his home and a radio. He could read and write as could the rest of the family (three daughters and the 23-year-old son, Daniel). They all spoke English. Thomas Falvey, according to this census, immigrated in 1893 and was a naturalized citizen. Even his occupation is listed: milk dealer, although Daniel had no occupation. The 1920 census for Holyoke, Mass., listed a Thomas Falvey, age 46, widowed; he owned his home, immigrated in 1893 and was naturalized in 1900 (this is new information!). Three daughters, Mary, Margaret and Anna, and a son, Daniel, age 13, lived with Thomas Falvey. A 1941 city directory for Holyoke, Mass, lists various Falveys all living at the same address: Anna C., a teacher; Margaret M., a bookkeeper; Mary, a winder; and two Thomas Falveys: Thomas A. – a janitor, and Thomas D. – a milk dealer. Which Thomas is Daniel P. Falvey’s father? And even more curious, a Daniel Falvey is listed as living in the Beaven Kelly Home. A Google search shows that this is now a retirement/assisted living home. What was it in 1941? If I were willing to spend more time searching earlier census records, I might have located Thomas Falvey’s naturalization record and perhaps traced the family tree further. But now I was curious: what could I learn about my own family? We, my parents, sister and I, lived with my paternal grandparents, so I knew a bit of family history. And my grandfather had an unusual first name, unlike Father Falvey. So I filled in the Ancestry search box with Grandfather’s name, Reynolds Fisher, his birth date, place of birth, date of death, wife’s name and son’s name, and clicked “Search.” This time I found a wealth of information; it helps to have an unusual first name and additional information about your subject. What did I find? Census records going back to 1880 when my grandfather was not yet a year old. I learned his father’s name, his mother’s name and the names of his brothers, a sister and a half sister (although she is listed in this census as a granddaughter). A whole series of city directories listed Grandfather’s different occupations through the years and both his home addresses and the business addresses. His World War I and World War II draft registration cards are also available. Because the draft registration cards gave physical descriptions as well as addresses, next of kin and occupations, I decided to take a closer look. And I made a very interesting discovery: between the WWI and WWII registrations, Grandfather lost over two inches in height and about 40 pounds and, even more interesting, he changed races! Weight loss, yes, that’s possible. Loss in height, not as likely but possible. Change of race (this included a change in the color of his hair, eyes and skin), not likely. Oops—this must be someone else’s card reproduced here as the back of the real Reynolds Fisher’s card. Searching became addictive! And now that I had the names of my great grandparents, I could extend my search. With a bit of help from some cousins, I was able to trace one side of my grandfather’s family to 1830 before hitting the “brick wall” (a genealogical problem that can’t be solved). I found records about my paternal great grandmother’s family going back to 1784, the year they immigrated to the United States. One lesson learned: always look at the original record as well as its transcription. Sometimes the transcribers make errors. Always try to verify information using as many sources as you can find. Family Bibles, if information was added at the time events—births, marriages, deaths—happened, are useful. Grave stones, if the information can be verified, are valid resources. Sometimes older family members can provide information not readily available elsewhere. Family trees posted online vary in accuracy: some are carefully documented; others are more speculative. Where else can you search? The National Archives and Records Administration (NARA) has a branch in Philadelphia, but it is closed until late October. A free online source, accessible from any location, is Family Search. 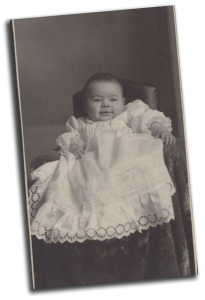 A useful source for research guides is Genealogy Research Guides. Have fun with the search! You never know where it might lead you. Mine led to western Pennsylvania and Ireland and to a new-found cousin. Individuals have always been interested in genealogy, especially members of the Church of Jesus Christ of Latter-day Saints (Mormons), but the general public’s interest caught fire when “Roots,” a mini-series was televised in 1977. Based on Alex Haley’s book, Roots: The Saga of an American Family, the television series traces Haley’s family from its origins in Gambia, West Africa, to the United States in the 1970s. The televised “Roots” followed the family only to the Civil War and emancipation. In 1979 “Roots: The Next Generations” traced Haley’s family from the post Civil War era to the 1970s. Article written by Alice Bampton, digital image specialist and senior writer on the Communication and Service Promotion team. Illustrations for this post are from her personal collection of family photographs. Very special to read, Alice ! I’m a namesake of my cousin, Daniel Falvey!